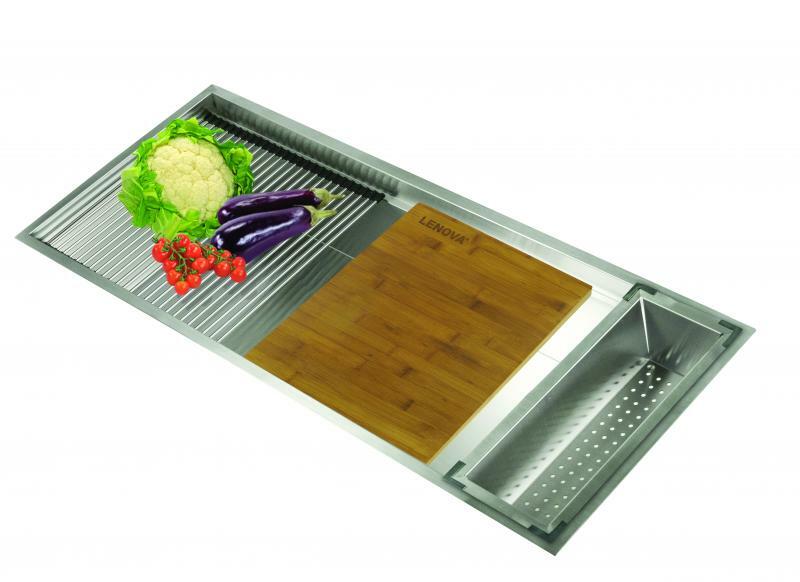 Lenova has added 46-inch and 58-inch sizes to its Ledge Series of kitchen workstations. The Ultra Ledge sinks offer expansive ledge space for sink accessories such as colanders, cutting boards, and drying racks. Ultra Ledge creates “a professional-grade work area worthy of the busiest home chefs who have large families to feed or who simply love to cook and entertain,” the company says. 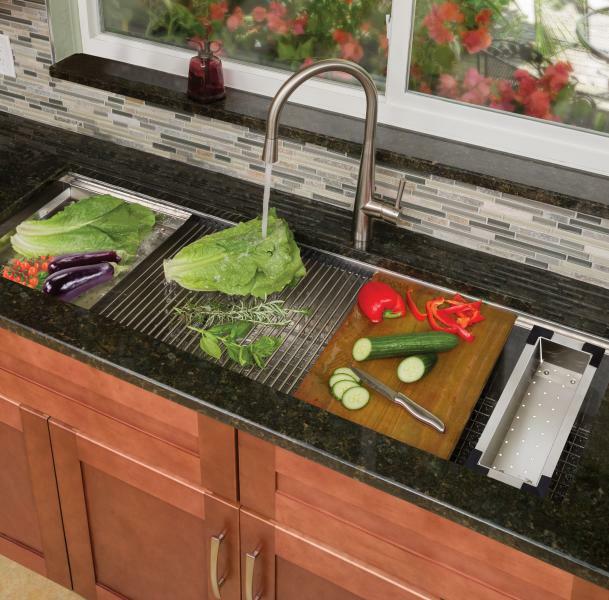 Accessories slide back and forth along the ledge, creating a easily customizable countertop for food preparation tasks from washing and cutting produce to drying dishes. A metal grid on the bottom of the sink provides a second level of workable space. The sink is created from 16-gauge 18/10 stainless steel with a satin finish. It also includes sound absorbing pads, removable splash guards, and strainer baskets. Ultra Ledge joins a number of other Ledge Series sink options, including farmhouse and under-mounts in a variety of sizes.